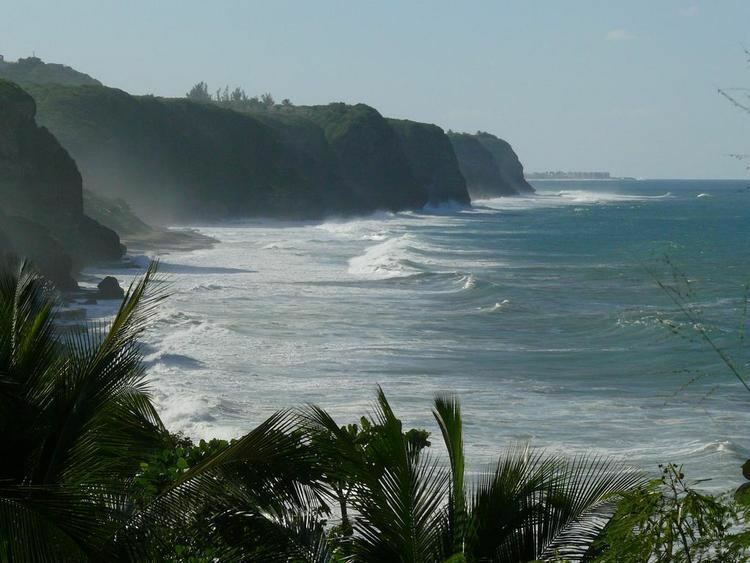 Quebradillas is a municipality of the island of Puerto Rico, located in the north-western shore bordering the Atlantic Ocean, north of San Sebastian; east of Isabela; and west of Camuy. Quebradillas is spread over seven wards and Quebradillas Pueblo (The downtown area and the administrative center of the city). It is part of the San Juan-Caguas-Guaynabo Metropolitan Statistical Area. 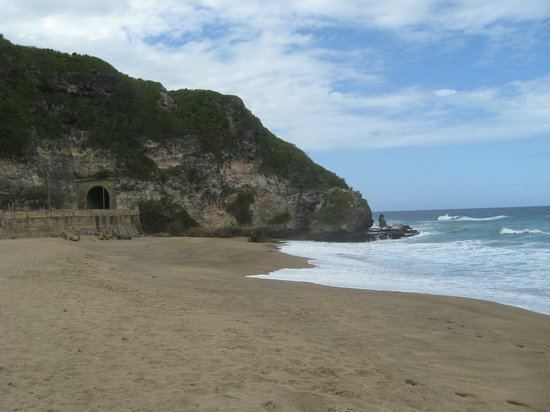 Quebradillas is called "La Guarida del Pirata" (The Pirates Hideout). A well known beach in the area, Puerto Hermina, is home to an old structure known to have been a hiding place for pirates and their contraband. 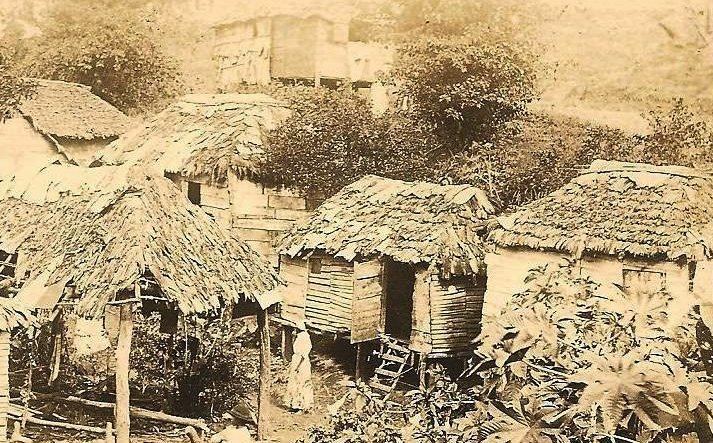 The town was founded in 1823 by Felipe Ruiz. This town derives its name from the large amount of streams flowing through it. The name literally means "small streams". Quebradillas is home to one of the 20 designated forest preserves in Puerto Rico, the Guajataca Forest. The forest serves as a great example of an unusual topography known as karst country. Karst is characterized by dissolved limestone formations such as sinkholes and haystack-shaped hills known as "mogotes". It is also home to the beautiful man-made reservoir, Guajataca Lake (2.5 mi or 4.0 km long), where you can fish for largemouth bass, peacock bass, tilapia and bluegill (in Spanish known as "chopa"). You can also go hiking or camping. The Boy Scouts of America maintain a campground on the lake known as Camp Guajataca. The name Guajataca comes from the name of a Taino Indian chief who lived in this area. This Indian chief also gives his name to Guajataca Beach to the north where Rio Guajataca flowing from Guajataca Lake meets the Atlantic Ocean. 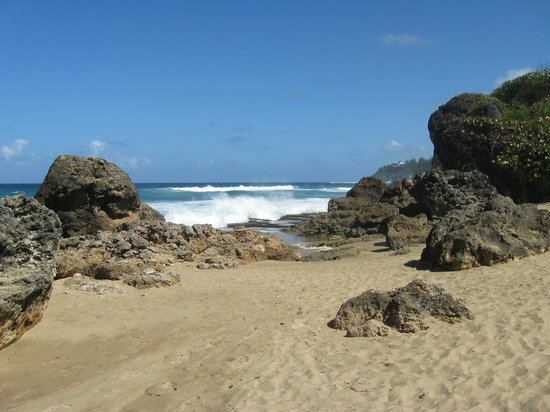 Guajataca Beach is popular with surfers and is known for its white sands and wild waters. This beach is ideal for sunning and collecting seashells. A small shopping center called Quebradillas Plaza is located in this municipality along with some manufacturing industries. The towns official basketball team is "Los Piratas these have won a dramatic amount of tournaments in the past.Presently the team has made a "come back" and has won the championship of the island (2013).